This article was reposted from PSAC. 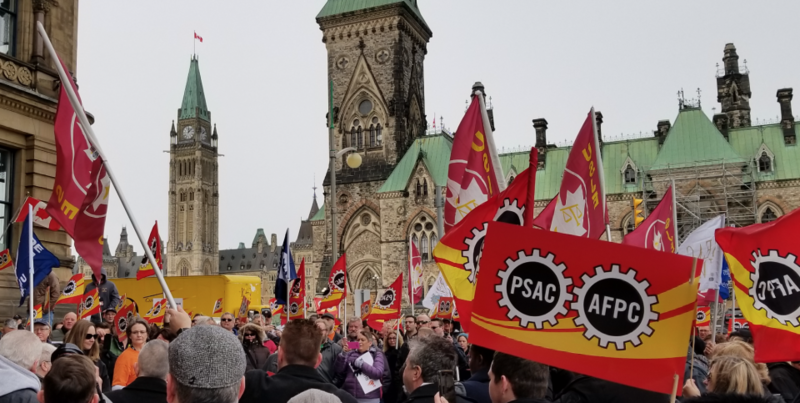 Three years after the launch of the Phoenix Pay System, thousands of PSAC members continue to be plagued by pay problems: they are underpaid, overpaid or not paid at all. On this third anniversary of Phoenix, PSAC members will come together to further increase pressure on the government for urgent action. On February 28, PSAC will hold a rally in the National Capital Region to kick off a series of escalated actions around the country in demand of: more concrete action to reduce Phoenix cases; a real timeline to end these pay nightmares; and damages to compensate the hundreds of thousands of public service workers who have been impacted. and end gross payback for overpayments. Despite these wins, at the start of 2019, the Public Service Pay Centre was still facing a backlog of over 280,000 cases. And after three years of Phoenix, about two-thirds of HR data is still being inputted late, causing pay problems across the board. Phoenix continues to also delay the implementation of our collective agreements and the retroactive pay our members are owed. Provide damages to all public service workers for the great financial and emotional hardship they have endured because of Phoenix. and eliminate the backlog of Phoenix cases, including implementing collective agreements and delivering retroactive pay. Provide a clear and accountable timeline to stabilize Phoenix, eliminate the backlog, and transition to a new pay system. To add insult to injury, in recent bargaining the government proposed a two-year wage freeze followed by a meagre 0.75% per year increase for over 90,000 members covered by Treasury Board negotiations. After coming to work day after day – delivering the critical services Canadians rely on - without being paid properly, our members deserve so much more than this continued disrespect. Join us on February 28 to build on recent Phoenix victories and ensure that the Government comes to the bargaining table with a fair offer.